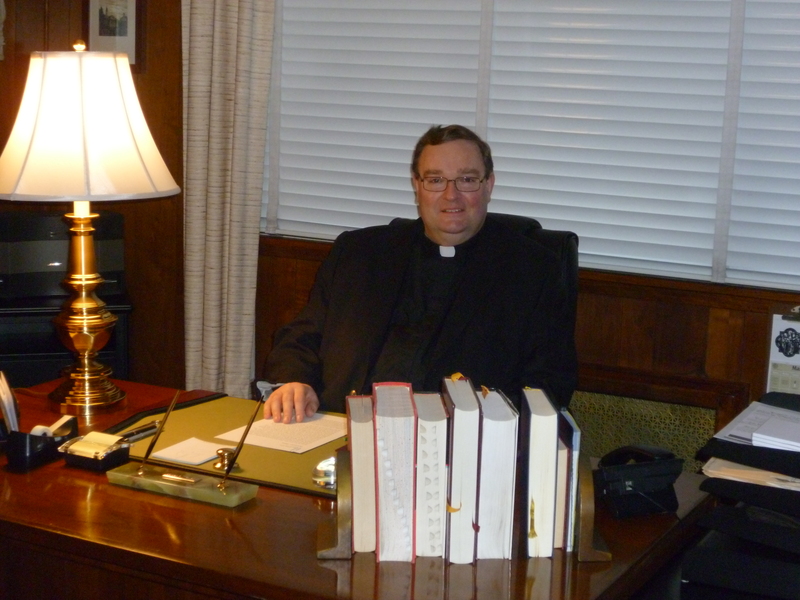 The Reverend John Anwyl Stoudt has led Emmaus since 1995. He received his education at Susquehanna University (B.A. in Classics), Fordham University (M.A. in Classics) and Concordia Seminary-St. Catharines (M.Div.). Before coming to Emmaus he was the pastor of Saint Luke’s Lutheran Church in Croydon, Pennsylvania. He has served the Synod’s Atlantic District as Visitor of the Lower Manhattan/Western Queens Circuit, chaplain to the district pastoral conference, and vacancy pastor. He is married to Faith (nee McElvain), who has taught in Lutheran parochial schools for more than 35 years.